Once your business is up and running, it is important to keep on top of your debtors and outstanding accounts. In the Commercial Disputes team we often see clients who have a “good relationship” with their customer and just let one or two invoices slip through the net. The next thing, however, debt has accrued substantially, with unpaid invoices dating back several years and the outstanding amount growing into a significant proportion of the business’ turnover. One of the main reasons a business goes into decline is when it suffers a critical shortage of cash. It is therefore important to keep cash flowing into your business a top priority. One bad debt that might seem like a drop in the ocean can soon turn into numerous bad debts and result in your business falling into financial hardship, or worst case, its end. We can help you minimise the cost and disruption of chasing debts by taking this added pressure off you and bringing the cash flow back into your business. We can help by providing immediate assistance on a fixed fee basis. Some of the various methods we can use to maximise recovery of your debt are set out below. The new debt recovery protocol came into force in October 2017 and applies to any business including sole traders and public bodies who are claiming monies from an individual, including sole traders. The introduction of the protocol means that the steps that need to be taken when collecting debts from individuals, have become more onerous on the part of the creditor. It also aims to encourage early communication between the parties, allows for resolution of a matter at an early stage and attempts to avoid Court action. However, in order to abide by new rules, a certain criteria must be met and certain documents must be provided to be in accordance with the protocol. It is therefore important that proper advice is taken when dealing with an individual debtor so as to avoid any future issues when it comes to bringing proceedings. One of the first steps, and one which we find most effective, is a Letter Before Action. This will set out the basis of the debt and demand payment of the same from the debtor. It is crucial however that this first letter is drafted correctly, and is in accordance with the new protocol if the debtor is an individual. Quite often you will find a debtor will realise its creditor is serious once they receive a letter from a solicitor and will suddenly start to address the debt properly. Even if this does not bring about immediate payment, we find a debtor will get in touch and negotiate settlement of the invoice. If this fails to bring about payment, we can look at other options. If there is no further communication from the debtor or attempts at negotiations fail, we can assist you in issuing proceedings at Court. This involves filing details of the claim at Court, by way of a Claim Form and Particulars of Claim. If the debt is straightforward, we can draft the documents on your behalf for a fixed fee. Once the documents are filed, the Court will then serve this on the debtor and the litigation process will ensue. We can assist you through this and advise you as the matter progresses. Issuing proceedings is not always the most appropriate option and we will advise you based on your own individual claim. Another option we can assist you with is the insolvency route. This is very much an option of last resort and not one that we would look to put in place without good reason. A lot of the time, these debtors are your continuing customers, and we understand the importance of dealing with different debtors appropriately so as to not disrupt your ongoing business with them. The insolvency route covers both bankruptcy and winding up procedures. However, before this, we would serve a Statutory Demand on the debtor. This is a useful tool, as it can bring about communication from the debtor if previous contact has failed. We have found that a threat of insolvency does tend to make a debtor jump into action. However, it is not necessary to proceed to continue down the insolvency route once this demand is served. We appreciate it is a challenge to keep on top of outstanding invoices and once they have been raised, it is natural to then focus on the next sale and forget about it. However, cash is king when it comes to business and dealing with outstanding debt should always be done promptly. 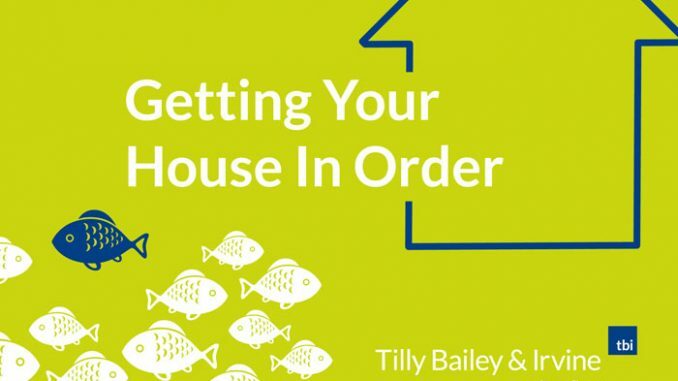 If you would like to make an appointment, speak to Tilly Bailey & Irvine’s specialist Solicitors in Teesside on the matters above or any other dispute-related issues by calling 01740 646000. Getting ready to make a splash!